TARA Labs embodies what can be described as true hand-crafted methods of high-end products. Designed and created by TARA Labs Design Team (TLDT) led by Matthew Bond & Merrill Bergs, all TARA Labs audio cables are manufactured in our factory in Southern Oregon, USA, and lifetime guaranteed. Every TARA Labs high-end audio cable is meticulously hand-crafted by our factory lab technicians. 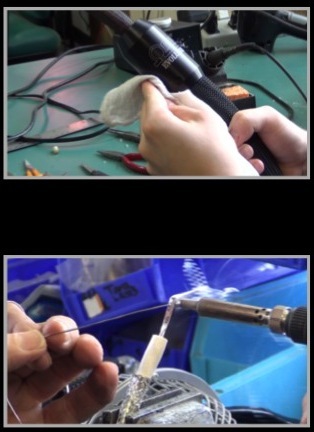 A good example on exactly what goes into this process is offered by the below construction techniques in building just one pair of our Omega Evolution speaker cables. The process for manufacturing these cables begins by the cutting, forming, measuring, and then the hand polishing of each one of the 576 – TARA Labs copper conductors. All the dielectrics are prepared including customizing the multiple size air tubes, outer & inner sleeve layers, as well as other proprietary cable components. This includes our custom hardware, all of which have to be machined, polished and laser etched before final assembly of the product. This would also include all cable terminations. As far as the actual labor to make these cables, it takes two senior technicians working an 8 hour day, for 10 days just for that one pair. That’s a combined 160 hours to make just one pair of our reference grade speaker cables. Throughout the process, each cable goes through multiple testing stations to ensure every aspect of the product meets our rigid standards. TARA Labs uses a variety of specialized testing procedures and equipment to ensure that every cable meets our rigid standards. Each cable must pass through a variety of stringent testing stations. Point to Point Signal Continuity using Hewlett Packard and Tektronix spectrum analyzers to ensure that every cable has the correct specifications. The final stage is when each cable is listened to, and evaluated in our sound room using a wide variety of audio components. Product is then packaged and shipped all over the world.